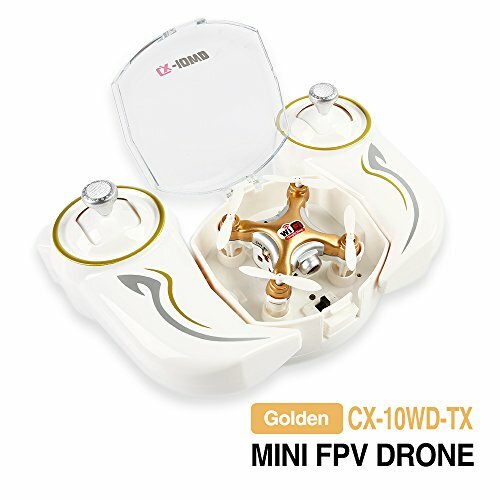 This quad from Cheerson is so cute and tiny but it also packs in features found in much larger vehicles! 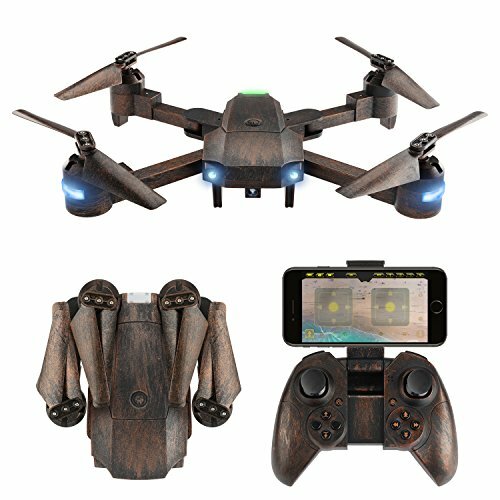 This palm-sized drone has an on-board camera with live-feed capability! This litte drone is so small, it fits inside the vehicle controller. 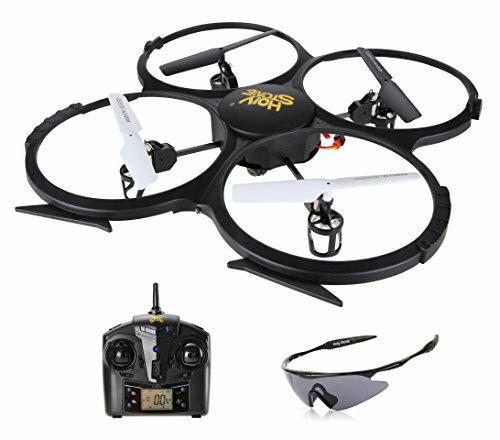 Use your smartphone with the controller to view live video as you pilot the easy-to-fly drone. This tiny Cheerson drone has onboard LED lights for night flying. Easy control features like one key take-off and single key return, and one key landing make piloting a breeze. The Cheerson CX-10WD-TX even comes with one-touch calibration. 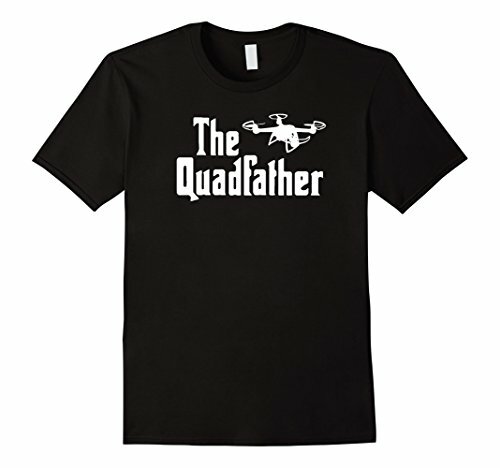 With this purchase you'll get the quadcopter and battery, transmitter, 4 extra prop blades, and a charging cable. 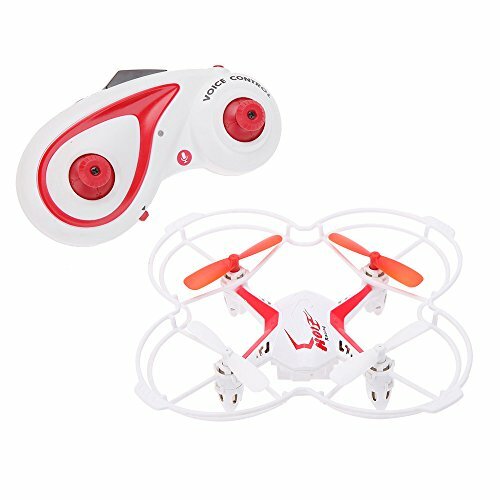 Follow the easy to understand instructions, toss your charged mini drone in the air, and you're ready to fly!